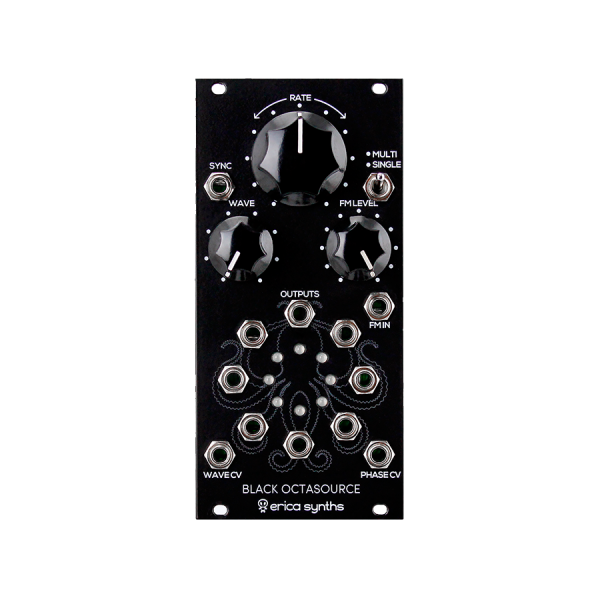 Erica Black OCTASOURCE is, what we want to believe, the LFO carried to its extremes. It features one of 8 waveforms available on 8 outputs phase shifted by 45 degrees OR all 8 waveforms simultaneously on all outputs. Furthermore, waveform selection, phase shift and LFO rate are CV controlled, and the rate can be synched to an external clock signal.